Welcome back to another post.... Wow a second post within one week! Woo hoo!!! 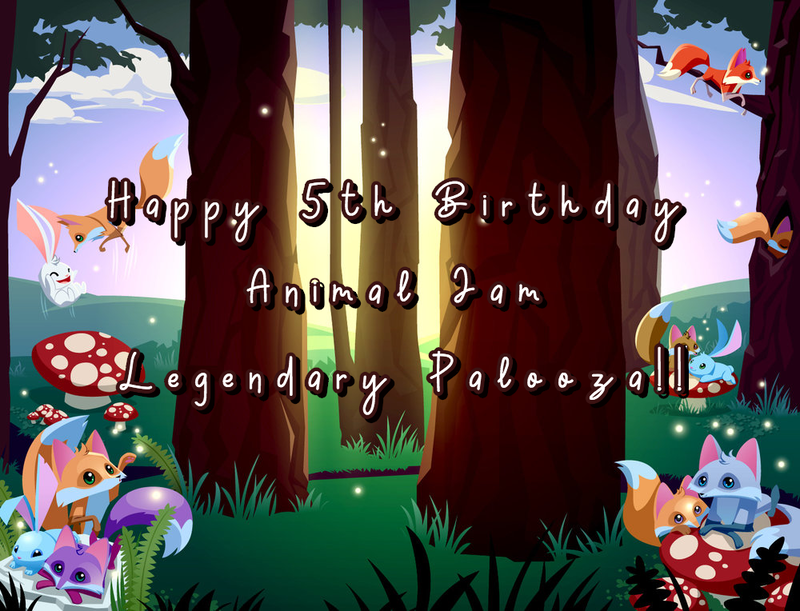 THE ANIMAL JAM LEGENDARY PALOOZA'S 5TH BIRTHDAY!!! WOO HOO! Can we get a round of applause y'all? Honestly, thank you so much for all the support these past 5 years. I can't believe I am still here posting, even if it's not as much as a couple years ago. When I first started blogging, I imagined I would quit once I hit high school but that did not happen. Here I am still blogging. There has been so many memories on this blog and on AJ, that I will never forget. We've had many readers come and go and bloggers come and go during the past 5 years, but we've always stuck through! 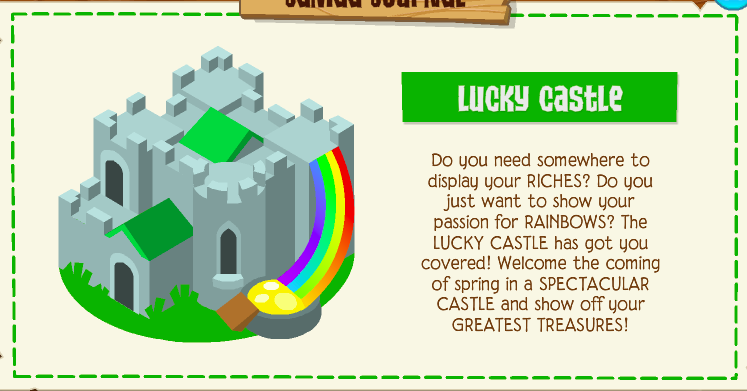 Its kinda funny to think back 5 years ago when I really wanted a blog, and I got one for easter in an Easter egg. Boy was I a happy child. I still am (even though im a teen now XD) and I am so thankful. Without that I wouldn't be doing what am I doing here today. 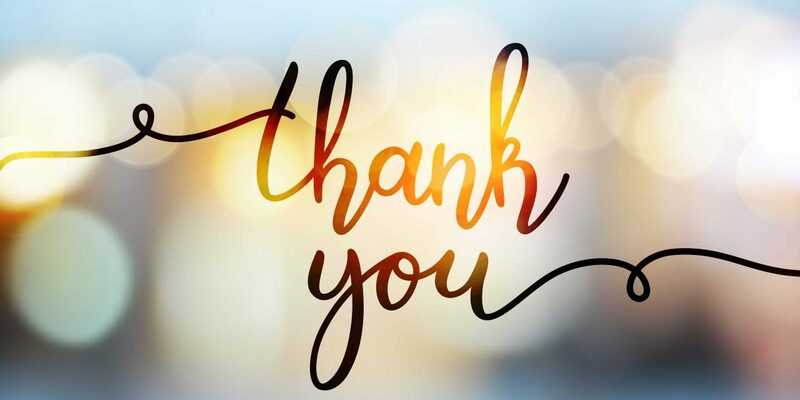 I'm not sure what else to say, but thank you once again to all who have read this blog along the way! I hope to continue blogging for as long as is felt needed be. Anyways! We now have a few celebration activities needed to be announced! I received a few suggestions, from a few viewers and I actually had similar thoughts to some of the suggestions. Here is a list of all the celebrations that will be happening! If you want to enter the giveaway and the contest you can go to the contest page. The information will be added shortly after this blog post is finished. And now.... Since it is earth day let's check out some fun earth day facts for 2019! - The amount of garbage trucks Americans fill each year can stretch to be half the size of the moon. Cardboard, like toilet paper tubes can take two months to decompose in a landfill. A plastic bottle can take over 450 years to break down! - Plant a tree. It's estimated that roughly 15 billion trees in the world are cut down each year. Its good to help the offset that's loss by planting a tree of your own. Trees take in carbon dioxide and release oxygen so we humans can breathe. They are also shelter and provide food for animals. Trees can even provide shade in the warmer months and reduce the need for air conditioning. - Turn off your lights. Electricity needs to be produced from things around us. It can come from fossil fuels (such as coal, oil, or natural gas) which are a big contribution to climate change. Electricity can also come from renewable resources like wind, water, the sun, and even elephant dung, do not pollute the earth. - Limit your usage of water. Water may seem like it is everywhere, but in reality it is not. Clean, drinkable water is a limited resource. Less than one percent of the water on Earth can be used by humans. (The rest is either too salty or too difficult to access. By turning off water when you brush your teeth can conserve up to eight gallons of water a day. You can even take shorter showers to conserve the water as well. 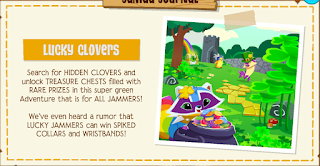 - Animal Jam for teens and younger kids! Anyways enough of that chat, cause thats more chat for another time, that is in the future. Let's get on with this post! Okay, so this was actually meant to be posted like a month ago, but I just haven't had a chance yet. Thanks for all the time you guys have spent on this blog. I know many have moved on, and many might not be an official reader but I am so greatful. I feel like I should do something a little special for this accomplishment but maybe we will wait. A couple blogs have posted about this already. 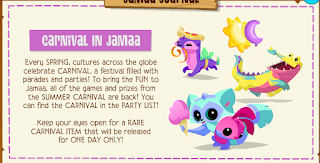 These blogs being: The Animal Jam Archives and The Animal Jam Stream . 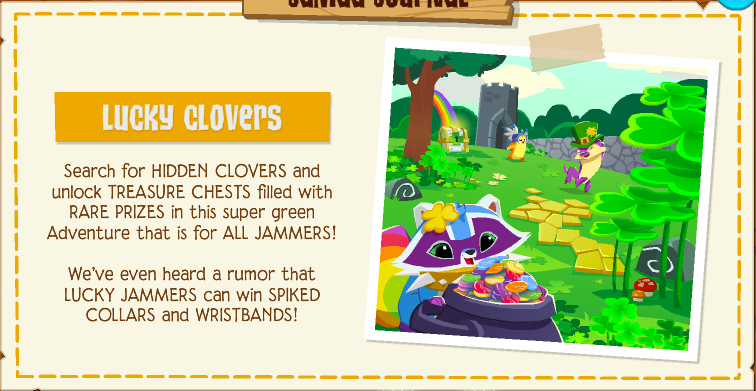 Recently, in an interview with Clark Stacey, the CEO of Animal Jam. 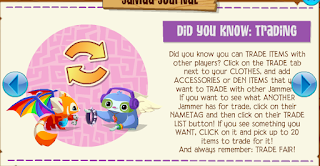 He explained some questions and their answers, regarding animal jam. Clark stated that, many jammers come across the point of being a teen and playing aj, "I'm a junior or senior in high school. I've been playing AJ for 5 or 6 years but it feels weird to still be playing at this age. 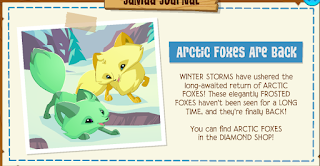 You guys should do something like Animal Jam but for older kids with less restrictions." 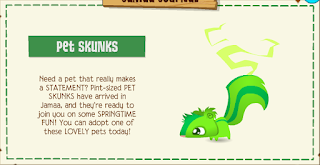 Clark said that in the future, there will be a game for younger kids and a game for teens, perhaps what happens after animal jam. In my opinion, I can't wait for these two games! More so the teen game, cause I will actually not feel a little old playing the game. Plus, it may be more fun to blog about. I wonder what these games will be like. I hope they do kinda follow what actual animal jam is right now. What do you think about the games? Are you excited? So AJLP's 5th birthday is on 22 of April! In about a week and two days. Would anyone be interested in entering a contest or going to a party if I host one? I know the blogger community had faded quite a bit already this year. But there may be some interested in doing a contest or going to a party. It'd be just like the old times :) If the contest does happen, it will probably be something small. Also, I changed the template a few weeks ago. Wow I can't believe it has already been like a month since I posted last.. It definitely does not feel like its been that long.. The funny thing though is that I wasn't even planning on posting today, until I went on AJ and saw the update and thought, I might as well post it XD So there yeah go! I also have march break right now, so maybe I will post a couple times through out the week though I have a list of things I want to accomplish, a few things are a bit of bigger projects so they will take more time while others are minor. I would talk about what I have been up to in the past month or so but I don't really feel like it to much right now. So let's get on with the post and check out the update! 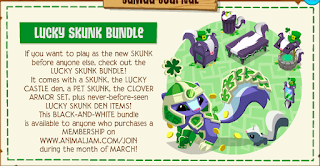 Skunks have arrived!! They are actually sooooo cute!! I really want one though, I can't get one cause im not a member. Im happy they didn't make a repeat of animal though, like they have the past few times. Not say that the animals were the same, but they were space kind of species, so it kinda annoyed me a bit. 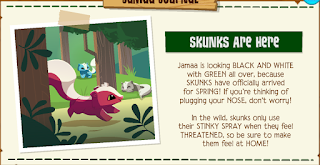 I actually saw a few pictures of this skunk about a week ago on someone's AJ blog and thought they were really cute! 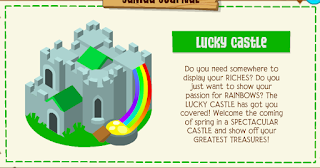 The lucky castle is back. I have always liked this den. 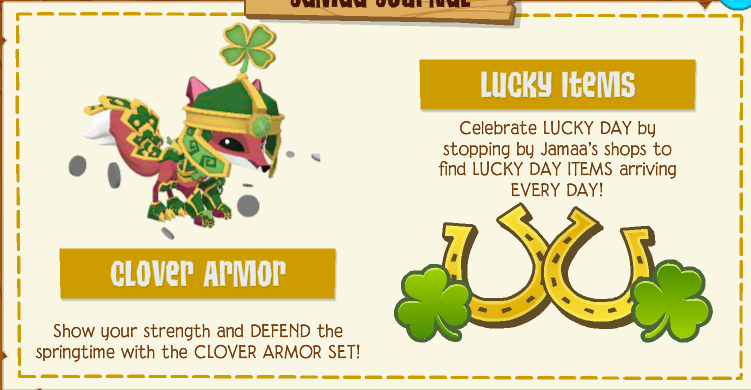 Clover armour and lucky items have returned as well. How to trade!. 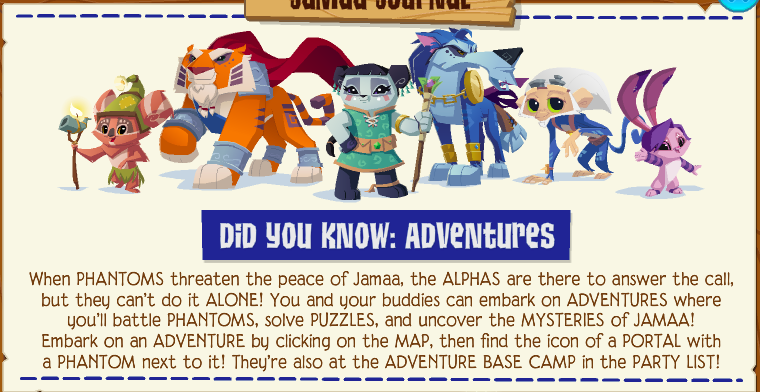 Though don't we already know this AJ? Oooh this a special bundle for the skunk. 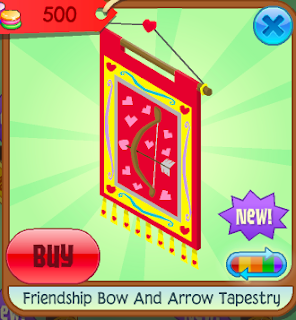 You can get some cool unlimited items with this bundle. 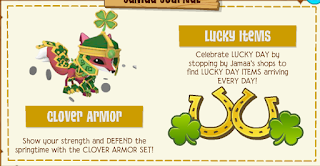 The carnival in Jamaa has returned..
A reminder about lucky day! 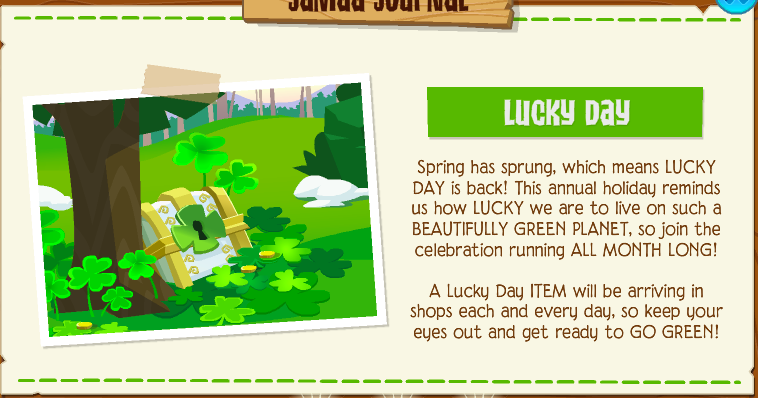 Im glad someplace is celebrating St. Patrick's Day! 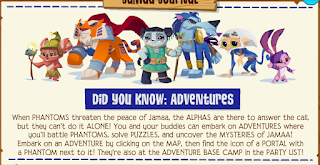 Finally, we have a little bit of information about adventures. Though don't we already know this also AJ? 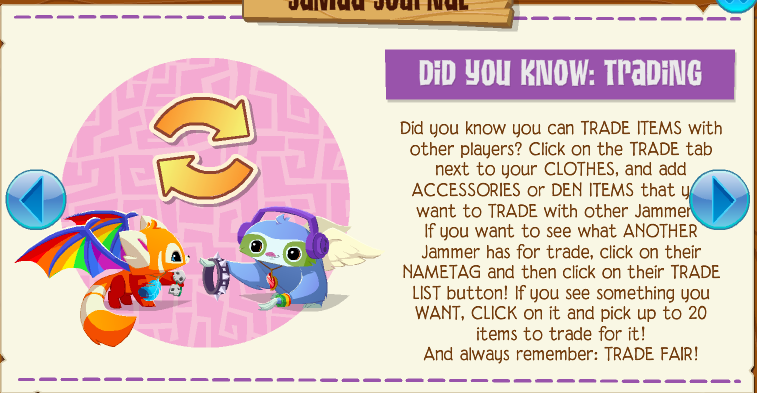 It is informative for the new jammers though!! This update was actually decent. Most of the stuff was lucky day celebrations, but it has brought a little bit of new stuff to do for a bit, well to some people. The skunks were also another nice addition. I rate this update a..